South Carolina is among the best states for active adults. Some of the best builders in the industry such as Lennar, Del Webb, and K. Hovnanian offer excellent active adult communities across the state. 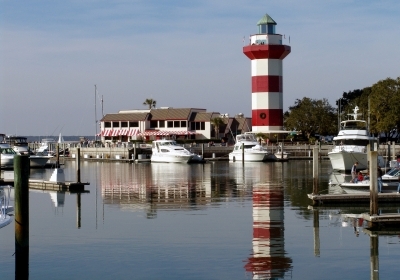 South Carolina active adults enjoy a beautiful climate along with endless choices for entertainment and recreation. Residents of South Carolina enjoy a humid subtropical climate. Temperature and precipitation varies across different parts of the state. During the summer months the northern regions of the state experience daytime temperatures between 86 and 93 degrees while temperatures closer to the coast range from 66-73. Winters are mild across the state with temperatures ranging from low 60 s to low 40 s. There is plenty of precipitation across the whole state with March and April being the wettest months. Snow is very uncommon however. With 32,020 square miles of land, South Carolina is the 40th ranked state in terms of total size. Bordered by North Carolina to the north, Georgia to the south, and the Atlantic Ocean to the east South Carolina offers rolling hills, marshlands, and a beautiful coastline. A few of the state s larger cities are located on the coast along with numerous smaller fishing and beach towns. South Carolina is rich with great culture and history. The 8th State of the 50 United States, South Carolina was admitted to the union in 1788. Many important sites of the Civil War are located in South Carolina like Fort Sumter, the sights of the first battle of the Civil War. The state's capital of Columbia is also its largest city. Located in the middle of the state, Columbia is home to many notable attractions such as the Columbia Metro Convention Center, Town Theatre, and University of South Carolina. Many of South Carolina s most popular active adult communities are located in this area. Active adults looking to enjoy the great outdoors have many opportunities in South Carolina. Those living in an active adult community along the coastline can get out and enjoy some great boating, fishing and other water sports. The northwestern part of the state includes a small portion of the Blue Ridge Mountains, which has great hiking and is home to Table Rock State Park. Those looking for a more social lifestyle also have great opportunities for entertainment. The Gibbes Museum of Art in Charleston, the Greenville Country Museum, and the South Carolina State Museum are among some of the best places to enjoy visual arts. Some of the more notable venues for the performing arts include the Peace Center in Greenville, the North Charleston Coliseum, and the Newberry Opera House. Active adults across the state enjoy a myriad of choices for entertainment and recreation. The cost of living for active adults in South Carolina is right about at the national average. Goods are taxed at 6% and counties have the ability to impose an additional 1%. Residents who are 85 or older are exempt from the additional 1%. The personal income tax consists of five brackets with a top rate of 7%. Local governments assess property taxes and residents are taxed at 4% of the property value. One major factor for active adults considering relocation is quality of healthcare. South Carolina offers great hospitals and specialized medical centers. With 217 active physicians per 100,000 people, South Carolina active adults are never too far from the medical services they may need. South Carolina has 65 hospitals with one nationally ranked and many others that meet national standards of excellence.